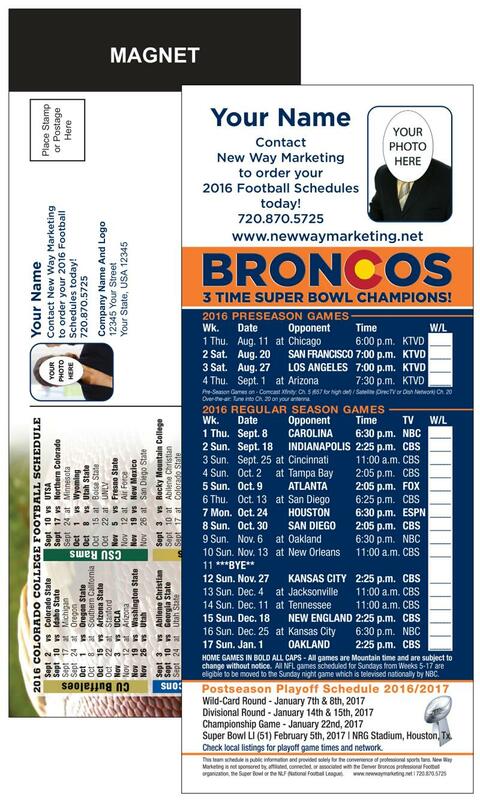 Size: 3½" x 8½" | Printed on a 12pt Card Stock | NO ENVELOPE NEEDED TO MAIL! UV Coating available for an additional .03¢ per card., per side. 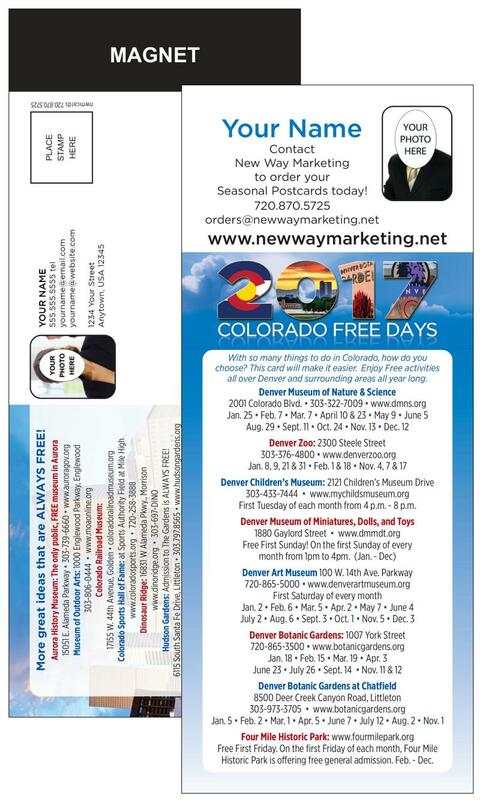 NO ENVELOPE NEEDED TO MAIL! 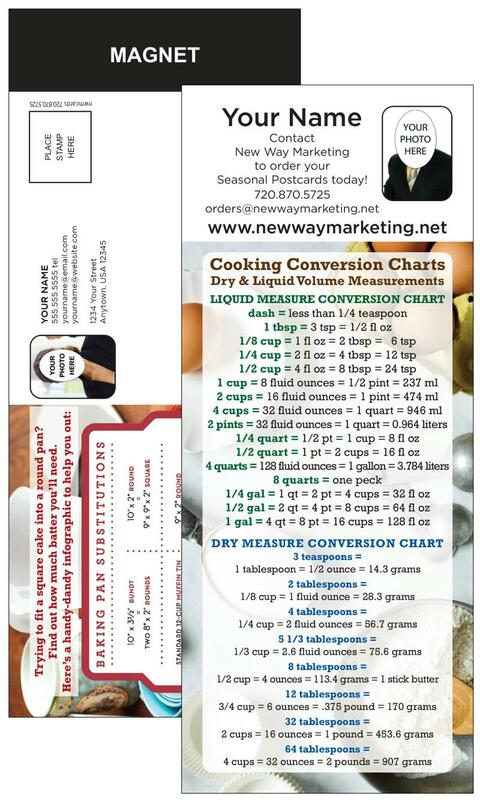 This card is designed to be a self mailing piece with no envelope needed. 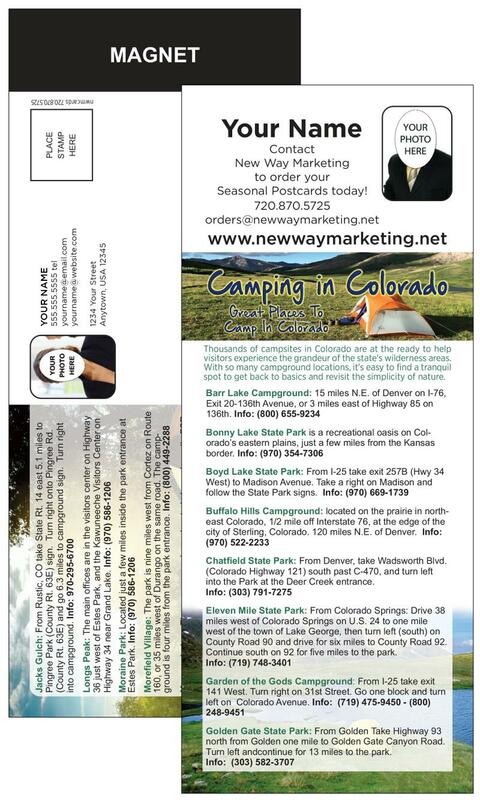 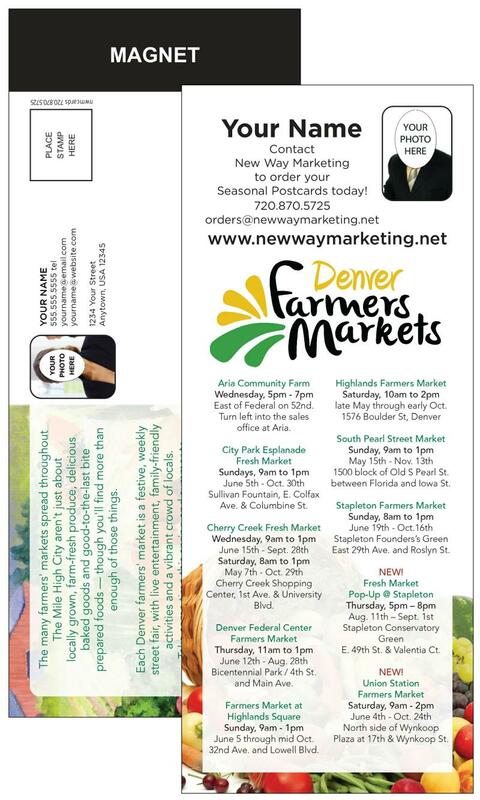 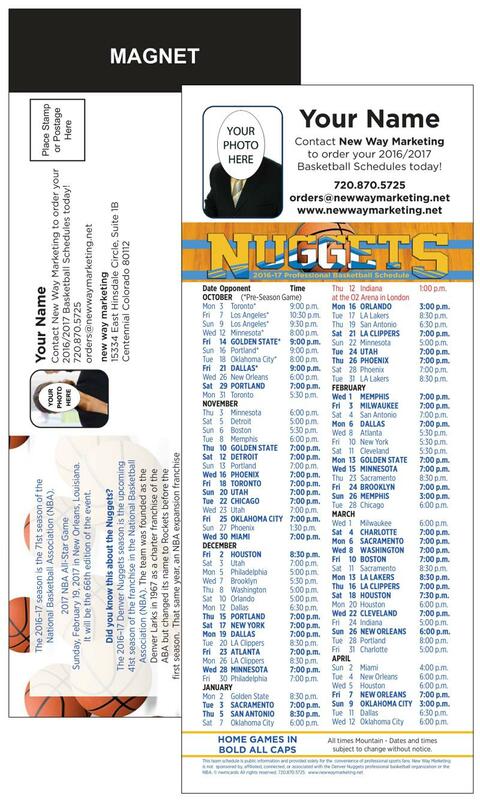 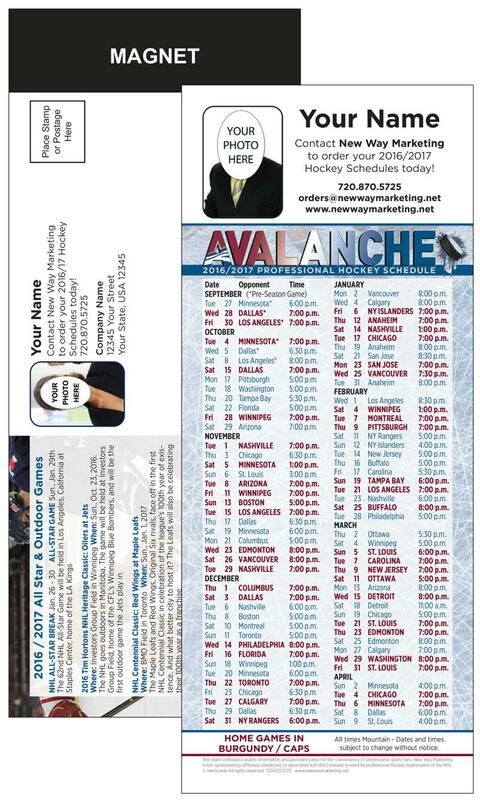 Self Mailer Magnet Schedules 3½ x 8½ / Printed on a 12pt Card Stock. 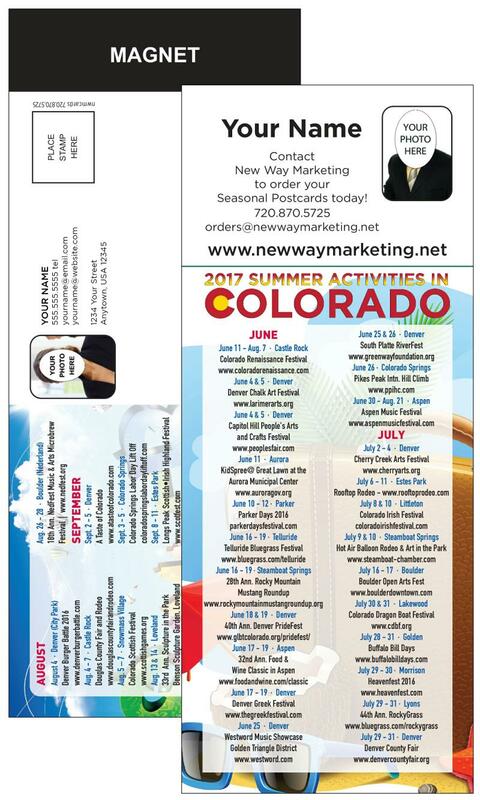 Click on images below for large full color sample of 3½ x 8½ Magnetic Postcard. 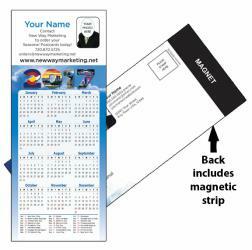 • Strong magnetic strip across reverse side. 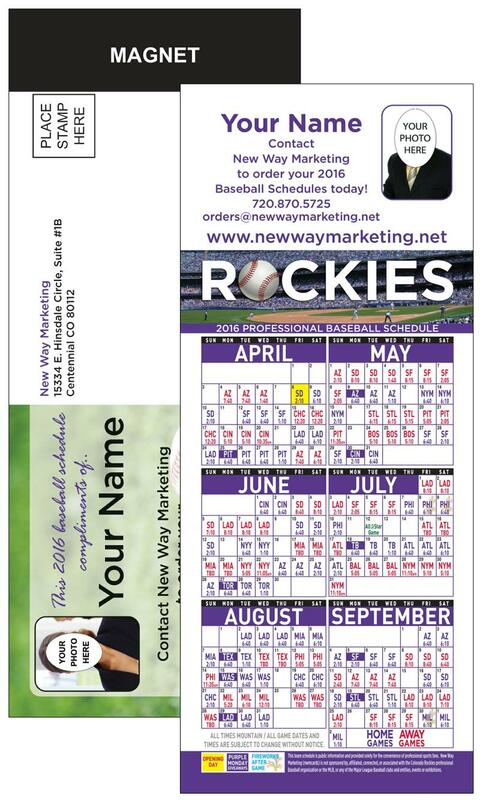 • Ready to mail with reverse side printing. 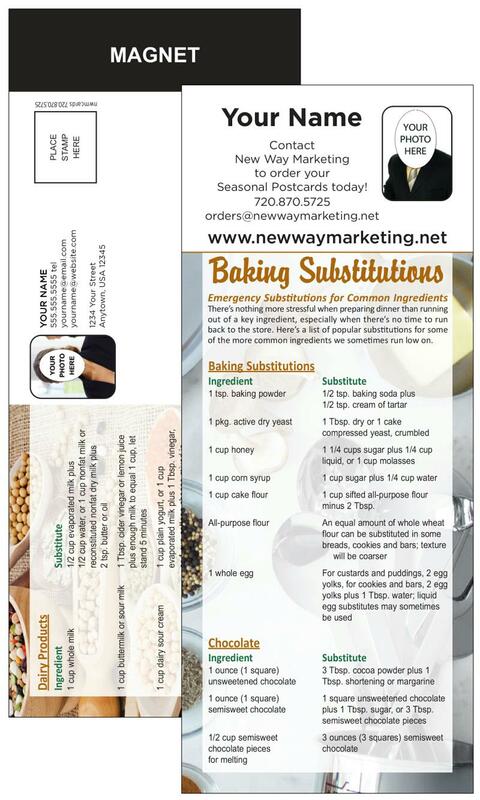 • Envelopes not included or NEEDED! 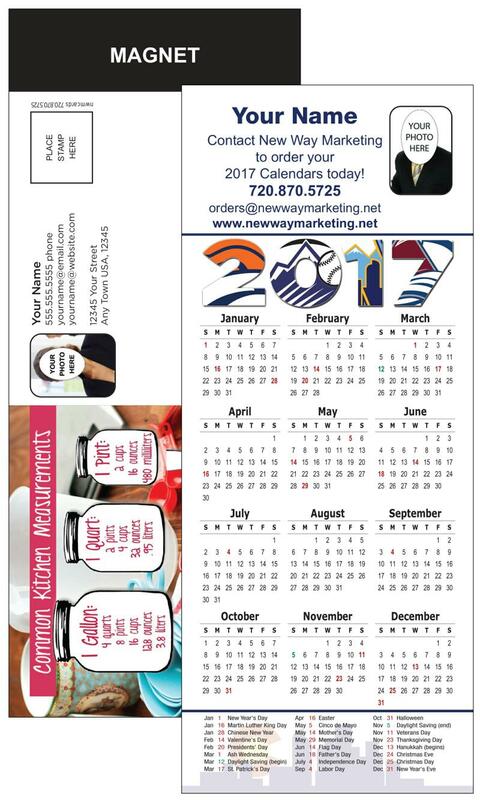 Month listed on samples is just for ordering convenience, most self mailers with the exception of sports schedules can be sent out anytime of year.